Your Next Adventure Starts With Will-i-ski? We can't wait to show you our hospitality here at Will-i-ski? 100% 5* reviews on Trip Advisor for the past 4 years! Now offering FREE transfers from Geneva. We provide hassle free holidays. Traditional Alpine Chalets in La Plagne 1800. Open for Winter & Summer! The will-i-ski? flagship Chalet, Chalet Marmotte is hidden away along a quiet road in La Plagne 1800. 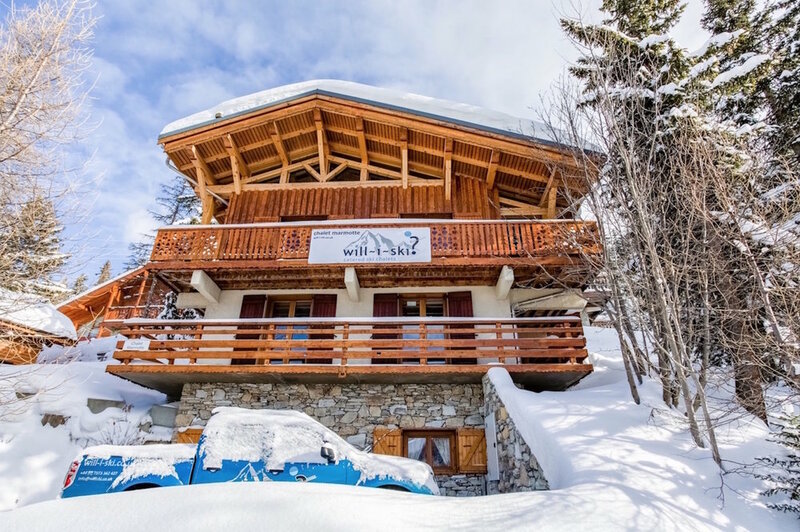 The chalet is a traditional build with a warm and welcoming atmosphere. There are some quirky parts to the chalet, a guest favourite being the upstairs ‘snug’. A muscle soothing sauna will settle you for a relaxing evening after a long day skiing as well as our lovely log fire in the lounge. The Chalet Marmotte is ideal for groups and especially families with two large rooms sleeping up to 4 guests. There are also 3 twin bedrooms. Within walking distance to the closest piste and close to the free resort bus stop, you will easily find yourself in the heart of Plagne Centre or Plagne Bellecote and beyond in no time. Room 1 (Single ensuite bedroom). Staff accommodation, Ski storage, Boot warmer, Sauna. Rooms 2 & 3 (Family rooms consisting of 2 x twins and a bunk bed with ensuite bathroom). Room 4 (Twin room with private facilities). Open plan Lounge/Diner with Kitchen, Log fire. Rooms 5 & 6 (Twin rooms under the eaves with shared bathroom) . Upstairs ‘Snug’. Please note there is restricted headroom in areas throughout the top floor. New to Will-i-ski? winter 2018/2019! Chalet Genepy is located along the quiet track at the top of Plagne 1800. The closest piste is a short 5 minute walk away to the end of the track. You will be nestled among the serene pine trees with breathtaking views of the valley, yet close enough to the village centre to be socialising at the local bars and restaurants within 5 minutes. Main entrance to the chalet. Rooms 1 & 2 (Recently renovated double ensuite bedrooms with balcony access). Room 3 (Newly renovated twin ensuite bedroom with separate WC). Room 4 (Recently renovated double ensuite bedroom). Sauna and large shower. Open plan Lounge/Diner with Kitchen & Log fire. Large patio doors opening to the balcony. Room 5 (Twin room with ensuite. Please note the shower in this bedroom is partitioned by a curtain). Room 6 (Twin bedroom with private facilities and balcony access). Room 7 - (Twin bedroom with ensuite facilities including a bath and balcony access). Ski locker and boot warmer. Perfect for smaller groups and families of 8-10 people. Will-i-ski? 's Chalet Zibeline is a bright and spacious chalet with its own private garden and set amongst the pine trees overlooking the village below. The chalet boasts an open plan lounge with comfortable seating and a wood burning stove. There are large French windows from this lounge with panoramic views of the valley. 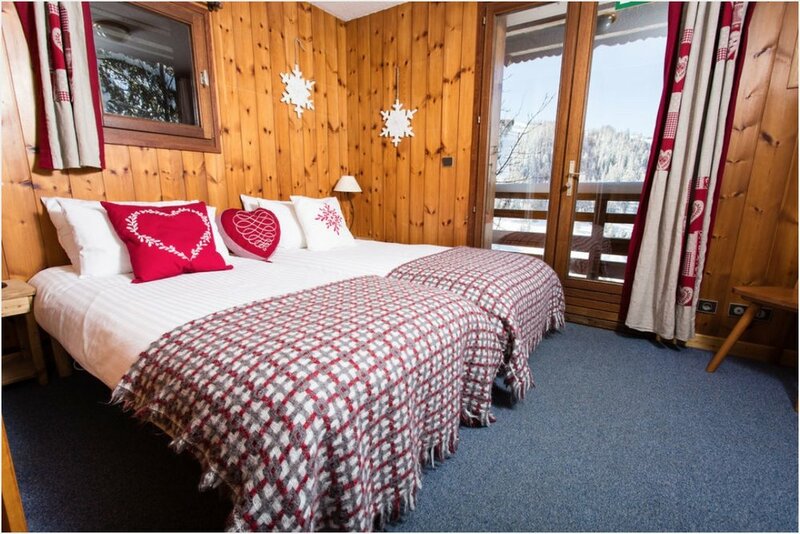 Chalet Zibeline consists of 5 bedrooms including a master double ensuite. 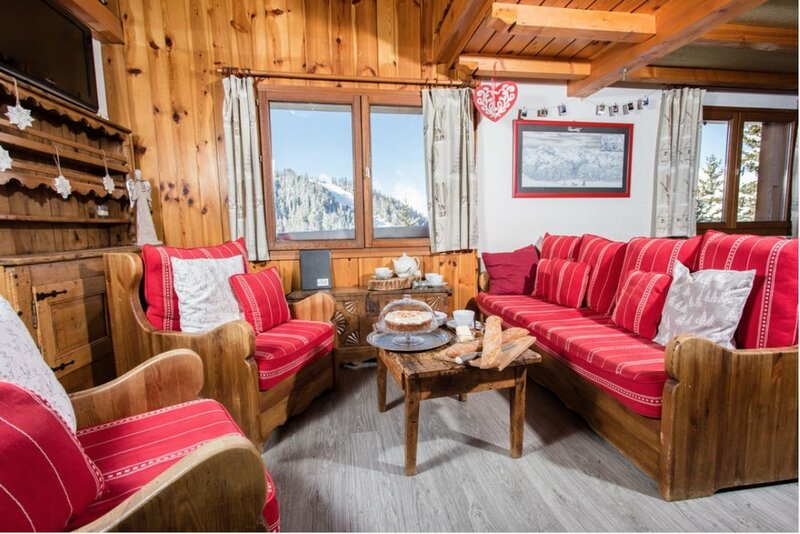 This chalet is perfect for family groups with young children or groups of friends looking to take a chalet for sole use. Chalet Zibeline is located directly behind Chalet Marmotte and next door to Chalet Genepy. We can therefore cater for larger groups looking to share across more than one chalet. Room 1 - (Single bedroom with private facilities). Room 2 – (Twin ensuite bedroom). Main entrance to the chalet. Ski storage and boot warmer. Room 3 (Double ensuite bedroom). Open plan Lounge/Diner with Kitchen & Log fire. Large shared bathroom for rooms 4 & 5. Rooms 4 & 5 (Twin rooms with shared facilities). Please note these bedrooms have restricted headroom with a ceiling height of 1.8m.